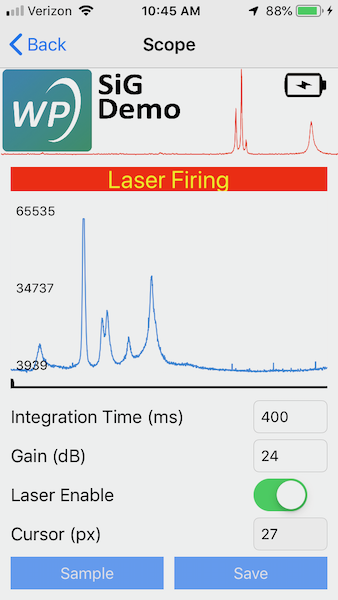 A simple iPhone app controlling a Wasatch Photonics SiG-785 Raman spectrometer. 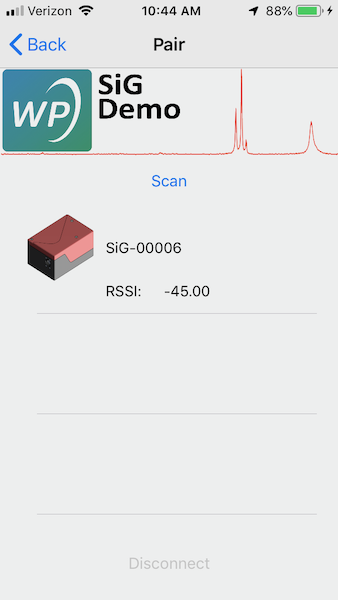 The current version of SwiftCharts seems to have a single line that needed changed...something about a bevel. Xcode knew how to fix it, but I had to use "Manage Schemes" to expose the SwiftCharts scheme for editing in Xcode, then a ⌘-B to build the framework and find the problematic line. two sections, "Connected" and "Available"